I think that there are few things more delightful and amusing to watch than an adventurous archaeologist in the act of trying replicate ancient drinks, hunting techniques, weapons, or other long vanished technologies. Who knew, for example, how punishingly difficult it was to chew one’s way through dozens of pounds of milled corn to make chicha, the beer of choice for the Inca and other Andean peoples? I had no idea until I began looking into the experiments of Penn State archaeologists Patrick McGovern and Clark Erickson and their associates at Dogfish Head Brewing & Eats. Yesterday, I found a very intriguing YouTube video of the experiments that University of Wisconsin historian Gregory Aldrete and his student Scott Bartell conducted on linothorax, the ancient linen armor worn by Alexander the Great and his army. I wrote about their research on this remarkable kevlar like gear in my post yesterday, but seeing is really believing. Check this out. Cloth, a Body Armor of Choice? I think it’s safe to say that the ancient world is absolutely full of surprises. 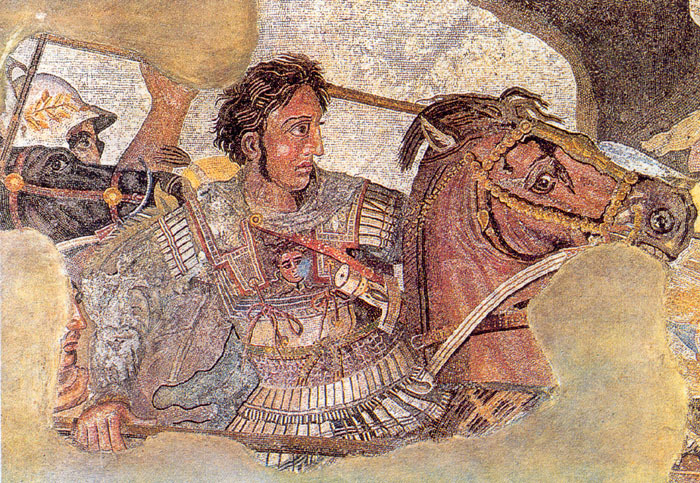 While most of us have long envisioned Alexander the Great donning a gleaming bronze cuirass for battle, new research presented last week at the annual meeting of the Archaeological Institute of America reveals that one of the greatest military generals in history and his soldiers favored a much humbler form of body armor–cloth. What I find particularly fascinating is the fact that soldiers in both the Old and New World developed cloth armor. Aztec warriors, for example, wore a kind of quilted cloth-armor jacket or tunic known as ichcapuipilli for combat against the Spanish invaders. This battle gear consisted pieces of unspun cotton sandwiched between two layers of cotton: the armor measured nearly two fingers in thickness and, according to Ross Hassig’s fine book, Aztec Warfare, was capable of deflecting both arrowheads and atlatl darts. Inca soldiers, too, wore a form of cloth armor. The attire couldn’t protect its wearer against cannon fire or Spanish steel swords, but it clearly had some advantages. It was comfortable, lightweight, and probably very cool in the heat of mid-day. So some 16th century Spanish soldiers themselves adopted it, wearing cotton armor into battle in the Andes. Clearly, there is more to cloth than meets the eye. Over the past few months, I have developed very mixed feelings about the internet giant Google. I hate to see how Google is draining the life out of the newspaper industry, slurping up all the advertising dollars that once paid for investigative journalism, foreign bureaus, and very fat papers. All that has largely fallen by the way for many newspapers, who are now firmly focussed on survival. But having said that, I can see that someone very high up the food chain at Google is passionate about archaeology. On November 25th, I wrote about the 3-D laser scanning project that Google is funding at the Iraq National Museum. The intent is to bring the treasures of Mesopotamia and other ancient civilizations from the region to scholars around the world. It’s a wonderful plan. Now Google has done something else that I really like. 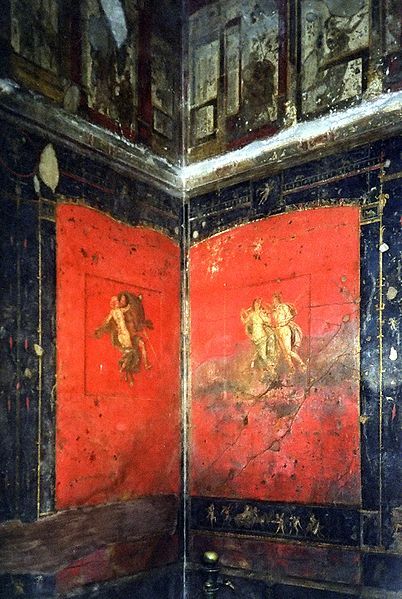 It has just posted a Street View of Pompeii, and it’s very, very cool. You are free to navigate the narrow stony streets of the ancient city at your desk, stopping to take a gawk at the market stalls and a spin around the forum. And all on a beautiful, blue-skied day in southern Italy.